Attic red-figure cup depicting a seated helmet maker and his equipment, c480 BC. 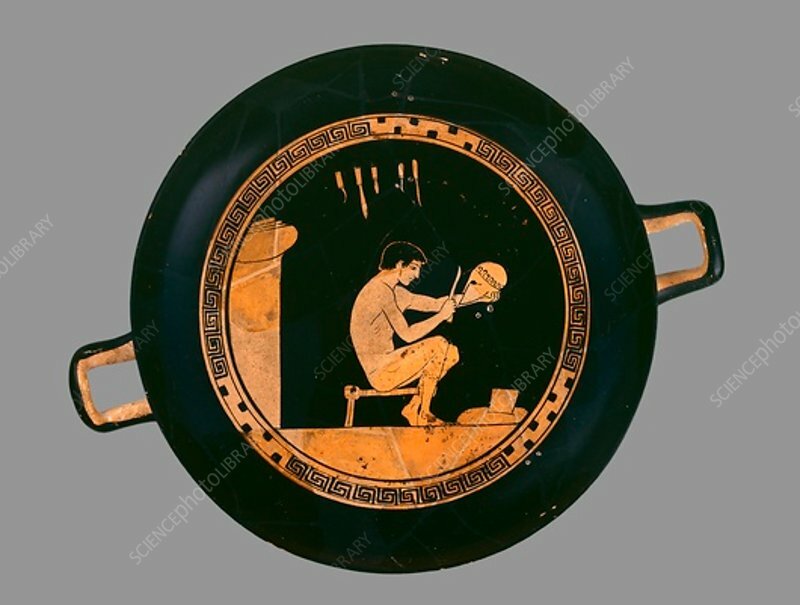 Athenian red-figure cup; depiction of a helmet maker and his equipment (anvil, furnace, files); the lower part of his head, his chest and arms, as well as most of the file and cheekpiece of the helmet are modern; the vase was broken and mended in antiquity. Dimensions: diameter: 24.3 cm.